Dr. Susan Coppersmith is the Robert E. Fassnacht and a Vilas Professor of Physics at the University of Wisconsin, Madison. She is a theoretical condensed matter physicist who has worked on a broad range of problems in the area of complex systems, and has made substantial contributions to the understanding of subjects including glasses, granular materials, the nonlinear dynamics of magnetic flux lattices in type-II superconductors, and quantum computing. 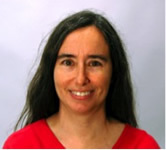 Dr. Coppersmith has served as Chair of the UW-Madison physics department, as a member of the NORDITA advisory board, as a member of the Mathematical and Physical Science Advisory Committee of the National Science Foundation, and as a Trustee at the Aspen Center for Physics. She has served as Chair of the Division of Condensed Matter Physics of the American Physical Society, as Chair of the Board of Trustees of the Gordon Research Conferences, and as Chair of the External Advisory Board of the Kavli Institute for Theoretical Physics at the University of California, Santa Barbara. Dr. Coppersmith is a fellow of the American Physical Society, the American Association for the Advancement of Science, and the American Academy of Arts and Sciences, and is a member of the National Academy of Sciences.